Music@theCasino benefit event of vzw Qué bonito! 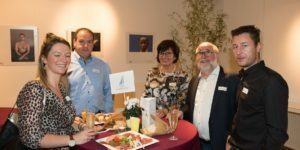 On Saturday, November 17, the beautiful charity party of the non-profit organization Qué bonito took place in the Casino Modern in Genk to support the project operation of Añañau in Peru. This wonderful musical event was made possible by the enthusiastic cooperation of many friends and family and many loyal volunteers. This year the Rotary club Genk Noord also helped with the organization and support. They also attended the event with a large delegation and gave extra financial support to the project. 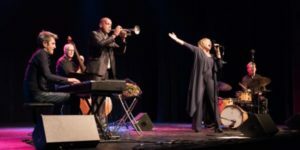 Katia Malecki provided the first musical highlight with delicious French chansons, accompanied by her husband Carlo Nardozza and their friend David Demuynck, together with the group Moi, lazy and l’ami. 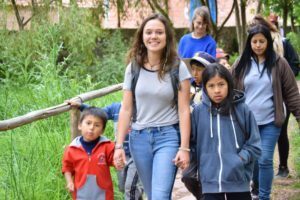 A video showed what Añañau all means for the children and young people in Cusco and several sympathetic groups offered a cheque to support the work in Peru. 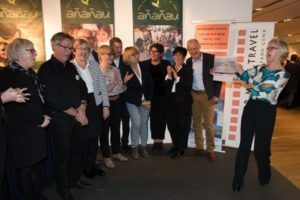 Rotary club Genk Staelen brought a cheque to contribute to various sub-projects of the project operation of Añañau, including the development of the new educational library and the ICT program for the children. The relatives of Palmers saved a certain amount every month to donate a nice sum to Añañau together. With great pride, they also handed their cheque over that evening. 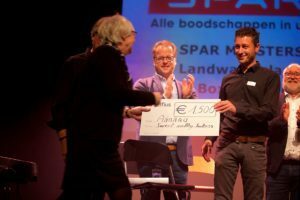 Finally, there was also the wonderful contribution of the Sweet Valley Sailors from Zutendaal who supported the project with the proceeds of various different activities. 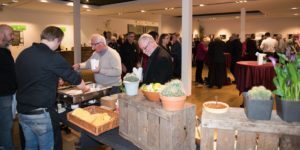 In addition to the wonderful musical program, many tasty snacks were included and guests could enjoy delicious local beers, exquisite wines, and so on. 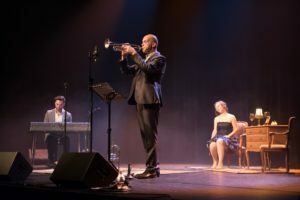 After the break jazz singer Sofie, surrounded by her top musicians, brought heart-warming songs inspired by Burt Bacharch and Ella Fitzgerald. In the end, local musical hero Carlo Nardozza climbed the stage and together they brought the audience into ecstasy. In the name of the whole Añañau team and all the children we want to thank everyone very much for their contribution to this wonderful event, for all their support. It really means so much to us that there is so much support from the home front and to see how much enthusiasm there is among the volunteers, attendees and everyone who helped out! Thanks also Jef Gabriëls for writing the articles and this text. For more photos of the event, take a look here! This year too, it was the Warmest Week of Music for Life from December 18th to December 24th and there were again many beautiful actions to put the project operation of Añañau (via Qué bonito!) In the spotlight and support! 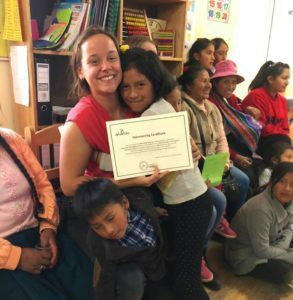 The families of volunteers Bélise Raman and Maud Lason organized a wonderful Peruvian evening with delicious treats and the sale of beautiful Peruvian items from Añañau. It was a super fun party with a truly fantastic attendance! 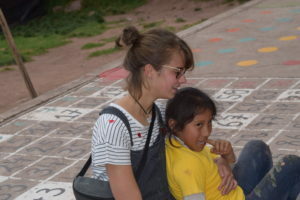 In addition, Robin Vantournhout and Tine Corthouts also provided lots of love and warmth with their action for Añañau. Robin, awaiting their first child, expanded beautiful woolen stuff and baked cookies together with her colleagues from the sports medical center Nottebohm in Brecht. And Tine, with her little sprout next to her, baked Christmas biscuits for Bree and surroundings! Also thanks to Franne Schepers for the donation wof a beautiful Spanish picture! 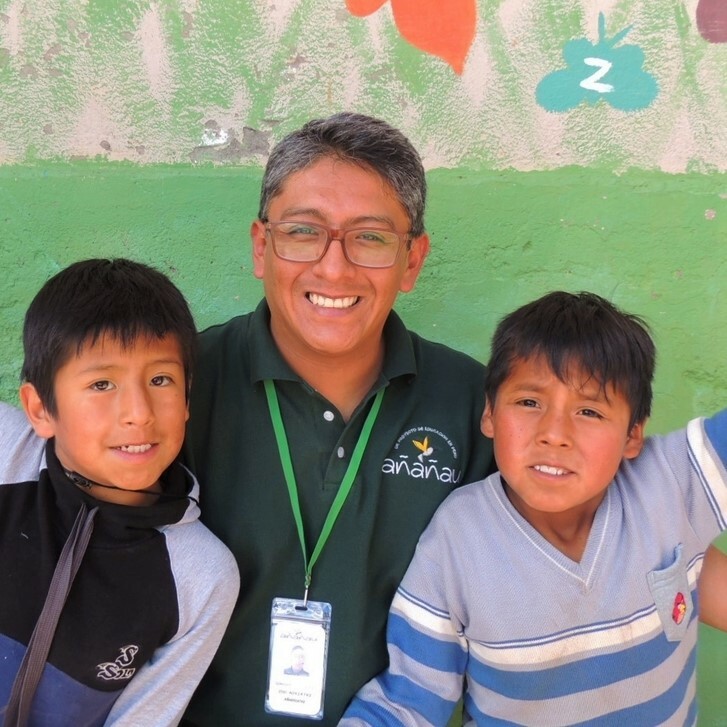 In the name of all the children and team members of Añañau, thank you to everyone for all your enthusiasm, your warm hearts and (sports) support! 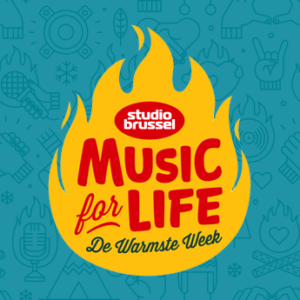 What a wonderful Warmest Week and Music for Life 2018! 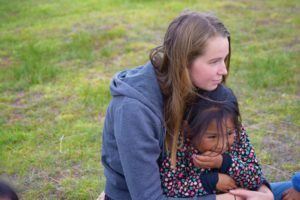 “When I started at Ananau a couple months ago, I could never have dreamt that those same months would have been so beautiful. 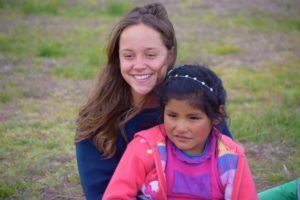 From day one the kids welcome you with open arms; there’s so much love, so much respect, towards the tía’s and also towards the other kids. Every single day at the project is a pleasure. “Long ago when I was just a teenager, I wrote in a booklet all the countries that seem interesting to me to discover in my life. Peru was at the top of my list. I was especially fascinated by the culture things such as traditional clothing, language and the beautiful nature. In the past I was also very fond of alpacas! 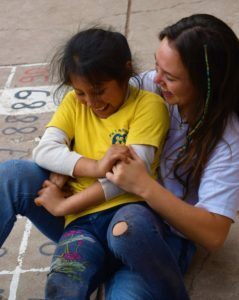 Doing volunteer work in Peru visits has always been my dream. They are all so sweet and cute. Given the circumstances in which they live, it was very difficult to understand at first that they are so open, spontaneous and happy. A big thank you to the entire Añañau team. Everyone was ready and we were super welcomed and guided the full 2 months. 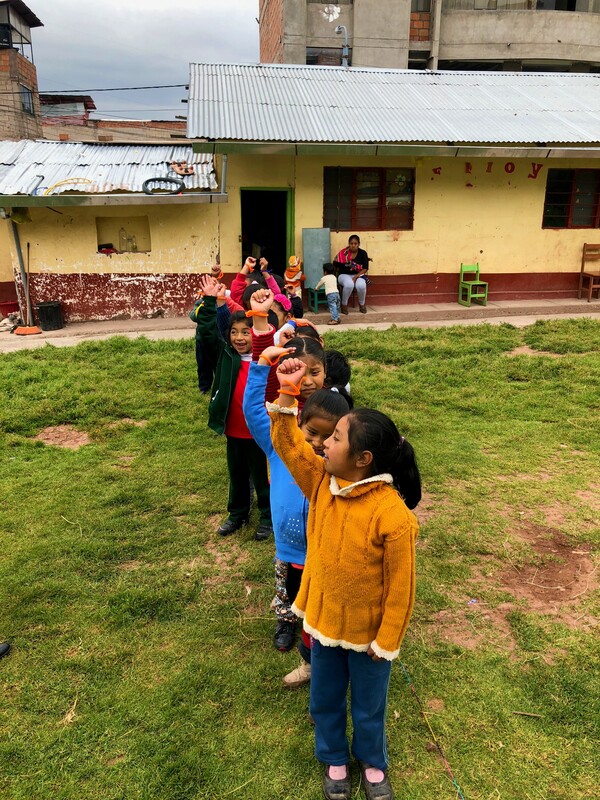 Everybody is ready every day to receive and accompany the children with their homework. 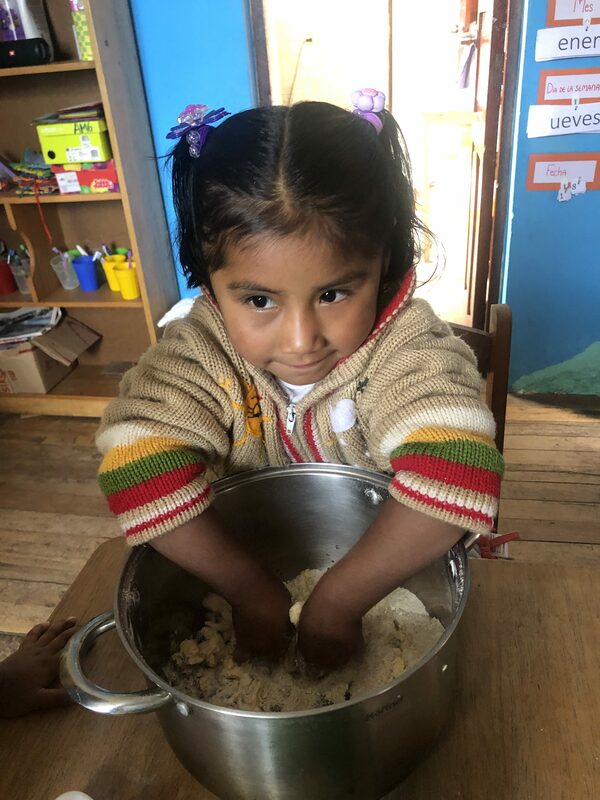 In addition, the children are offered a tasty healthy meal every day. 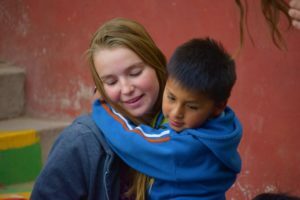 Life in Peru is fantastic. The culture is very colorful and incredibly interesting. 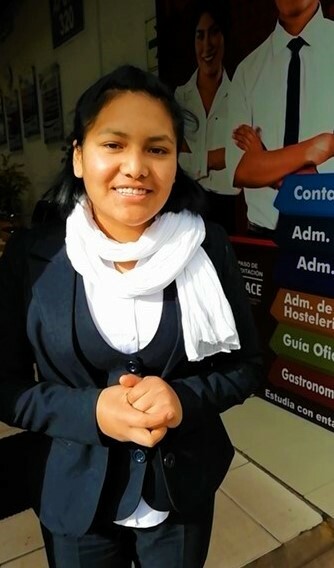 There is always something going on and the Peruvians are sympathetic and courteous. For me it is a life experience and also a great lesson in life. The difference between rich and poor is very striking. You are confronted with it every day, including in the project. I am very grateful for the opportunity my parents have given me and all the support from my environment. You were a great team. 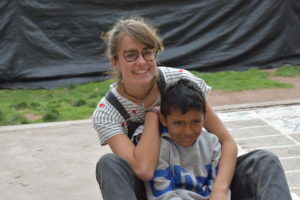 Thanks tía’s for the elaboration of many projects and the fantastic time in Añañau.